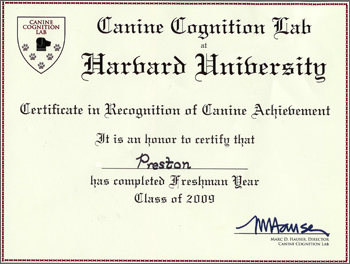 Right after Preston moved to Cambridge, Puggle Penny told Preston about the Canine Cognition Lab at Harvard University. It is great to know that there are researchers like Dr. Marc Hauser, who is interested in understanding what dogs are thinking ? Mommy signed Preston up to help with their research. His first session started this week. 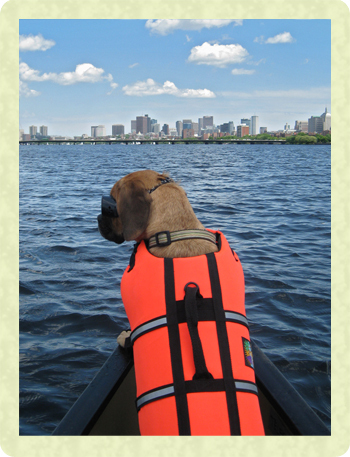 Preston can not share the details about the research (since it hasn’t been published) but he encourages all the doggies around Boston area to participate. He enjoyed every minute of it and came home with a full stomach! Preston made Mommy proud for being the first dog tested that could read the owner’s (mommy’s) facial expression. After the study, he was rewarded with a certificate. Preston is lucky to be a Cambridge resident. His favorite place here is Fresh Pond, a water reservoir supplying the city’s drinking water. There is a 2.5-mile fenced trail around the pond. 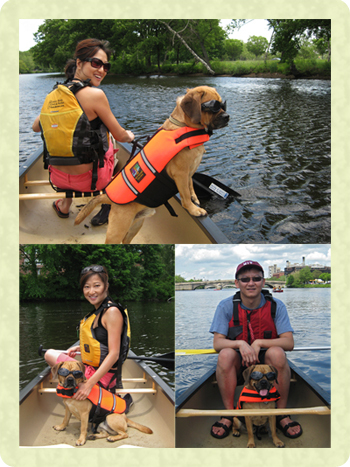 Dogs licensed in Cambridge can be legally off-leash here (Sorry, out-of-towners!). While no swimming is allowed in Fresh Pond, the adjacent Little Fresh Pond is open to dogs who like swimming. All of Preston’s Californian friends knew Preston did not like the water at all. He could swim but only if mommy was also in the pool. 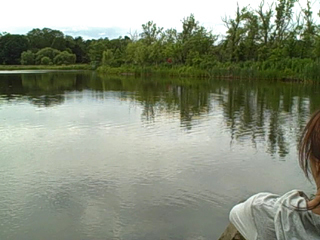 For weeks since Preston started coming to Fresh Pond, he would only stand on the shore and watch other doggies play in the water with frustration. Last weekend, he suddenly walked into the water on his own and started swimming as if he had been doing that all his life. Mommy and Daddy were quite amazed. He might not be the fastest swimmer but definitely the cutest one in the pond! What is Boston’s best ice cream? 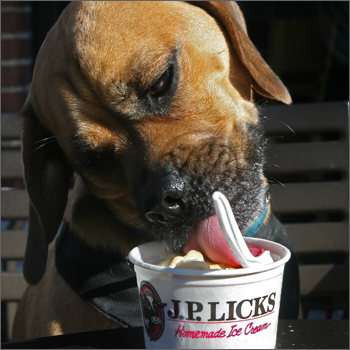 Preston’s vote goes to JP Licks! 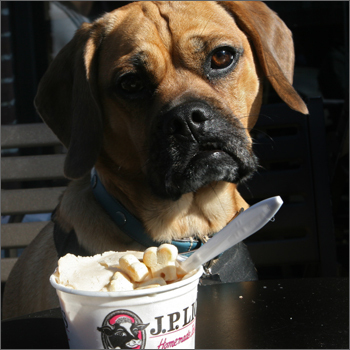 Preston had their doggie ice cream, “Cow Paw”. 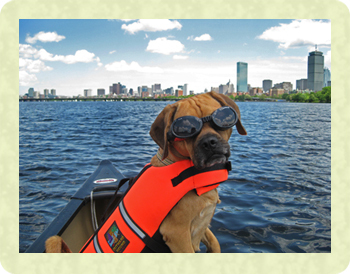 Preston might not be a big fan of the water but he is not going to miss out on having fun on Charles River.